New research commissioned by the online estate agents, SellMyHome.co.uk, has revealed the changing landscape in London and how this affects first time buyers. We take a look at the obstacles facing potential homeowners and the schemes in place to help them. Have you given up on the dream of buying a flat in London? Well, all is not lost thanks to an exclusive piece of research conducted by online estate agents SellMyHome.co.uk that identifies London’s most affordable boroughs for first time buyers. The research shines a light on the shifting property landscape of London and where in the last 15 years first time buyers can afford to get on the property ladder. The data looks at how individual boroughs have evolved, where the opportunities are for first time buyers and to see if there are any signs that indicate the market is changing to make it easier to get on the property ladder. 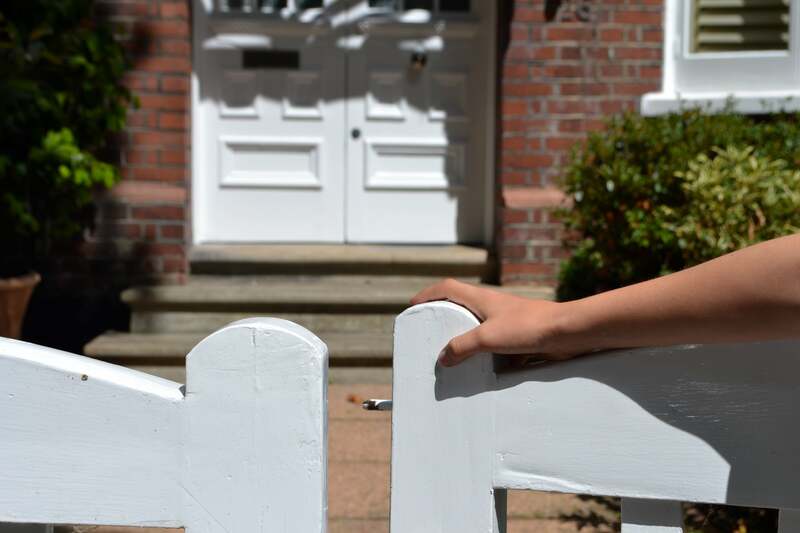 Although they have been increasingly used as a buzzword and a pawn to win political favour, the stark reality remains that in the last 15 years buying your first home has been an unattainable dream for most. It remains one of life’s significant milestones, yet steeply rising house prices and tighter lending constraints courtesy of the Mortgage Market Review, means that first time buyers have been perpetually kicked into the proverbial long grass. The study, which was run on the front page of the Evening Standard on Thursday 2nd July, has undoubtedly illustrated this palpable sense of gloom but there are a few signs that those dreary clouds may be finally abating. Who are the first time buyers? In 2014, the number of first time buyers in London was at its highest for over a decade. According to the Council of Mortgage Lenders (CML), 48,800 first time buyer loans were issued across Greater London during 2014, the highest since 2003. Over the last five years, first time buyers have had to contend with rapidly rising prices, as average house prices across London increased by 47% compared with an average of just 16% nationally. With the significant growth it is unsurprising that the median age of first time buyers in London has risen; from 30-years-old five years ago to 32. Back then, 26% of first time buyer loans were issued on properties priced at between £250,000 and £500,000. Today this price bracket accounts for half of all loans. According to the CML, first time buyers in London earn an average annual salary of £56,314. Many first time buyers in London are dependent on joint incomes, savings, help from family members or indeed a combination of all three. Based on earnings, the average first time buyer budget across London is now £284,500, over £100,000 more than the average first time buyer in the UK as a whole. First time buyers may well find they need to expand their search areas to find the right property within budget. The price of a flat in the most affordable five boroughs has risen by an average of 28% in the last five years. However, in the five most expensive boroughs (Kensington & Chelsea, City of Westminster, Camden, Islington and Hammersmith and Fulham) the average growth was 77%, pricing many out of the inner London market. So, where can first time buyers purchase a property? Over the last 12 months, a first time buyer with a budget of £284,500 would have been able to afford 30% of all properties sold across the capital, 38% across the Outer London Boroughs and just 16% of those across Inner London. Flats offer the greatest level of affordability, with 68% of all flats sold across Outer London over the last year going for less than £284,500. If we assume that the majority of first time buyers in London will purchase flats, the average price of a flat sold in the Inner London Boroughs is now twice that of the average first time buyer budget at just over £582,000. For those looking to remain within the Inner London, Greenwich and Lewisham, offer the greatest choice, with over 40% of flats sold over the last year selling for less than £284,500. Comparing the number of properties available at £250,000 in 2015 ,compared with five years ago, demonstrates how growth in the Inner London boroughs has affected first time buyer purchasing power. In Hackney, buyers with a budget of £250,000 would now be able to afford just 13% of all flats sold in the area, whereas in 2000, with an equivalent budget of the same value, they would have had their pick of 85% of all the flats sold in the area. Since 2000 the average property price in Hackney has increased by 226% and by 61% in the last five years alone. In the year 2000 the average price of a property in the trendy borough of Camden has increased by 214% and a staggering 58% in the last five years. With a budget of £250,000 you could only afford 3% of all flats sold in Camden in 2015, compared to 36% in 2000. In comparison, in seven out of the 20 Outer London Boroughs, over 80% of flats sold for below £284,500. The priciest boroughs in Outer London were Richmond-upon-Thames and Haringey, with average sales prices of flats standing at 44% and 37% respectively above the Outer London average. For first time buyers with a lower budget of £250,000, just 29% of all flats sold across London over the last year would have been affordable. A budget would need to be increased to £350,000 before more than 50% of all flats would became attainable and up to £450,000 to allow over half of all Inner London Borough flat sales to fall within that price bracket. Besides the financial challenges that first time buyers face, buy-to-let investors are, in many cases, competing for similar stock. According to the CML, the total number of buy-to-let loans issued in 2014 for house purchases totalled 100,100, virtually double that of 2009 (52,600), with a further 24,400 buy-to-let loans issued in Q1 2015. The increase in demand for privately rented accommodation and the likelihood of capital growth in those properties has encouraged investment. In 2009, 19% of London’s population lived in the private rented sector but this had increased to 26% by the end of 2013. Recently announced pension reforms, enabling a fixed lump sum to be withdrawn may also tempt investors into the market. London has a long-established reputation for stability and integrity and has always remained a firm favourite for property investment from overseas. With the current strength of the sterling against overseas currencies there may be less competition from overseas investors for property in London in the short term. However, as has been proven in the past, the attraction of London as a safe haven for investment of capital in property means that there will always be overseas interest. Although the data collected by SellMyHome.co.uk illustrates the difficulty one faces when endeavouring to buy your first home, there are an increasing number of measures in place to assist you. 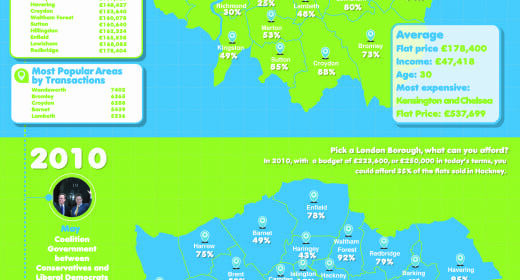 Housing affordability remains a key political issue, particularly in London and the South East. If manifesto pledges are realised, then first time buyers could see a number of new initiatives introduced to help their dream of home ownership become a reality. The new homes initiative will enable first time buyers under the age of 40 to purchase a new build home (up to a maximum of £450,000) across the capital at 20% market discount. Additionally Help-To-Buy equity loans (up to 20% of the value of a new build home) should assist those who are struggling to raise a deposit. There is also the Help-to-Buy Mortgage guarantees, which is designed to protect lenders, up to a value cap of £600,000, where deposit amounts are just 5%. Help-to-buy ISA’s will see the government boost savings by 25% up to a maximum of £3000 that will help first time buyers to purchase either a new or existing property. This will, in effect, enable prospective first time buyers to save out of pre-tax income, with no obligations other than to use the money to buy a home. Will Clark, Managing Director at SellMyHome.co.uk, believes there is still room for optimism, but a better understanding of ongoing trends in the market is required. The 21st Century Story for First Time Buyers in London research was commissioned by the online estate agents SellMyHome.co.uk and was carried out by leading property specialist DataLoft. It depicts the shifting landscape of the capital’s property market for first time buyers, over the last 15 years. Every single borough in London has become less affordable for first time buyers over the last 15 years. The average price of a property in London has increased by an eye-watering 180% since the year 2000 and 43% in the last five years alone. In Hackney buyers with a budget of £250,000 would now be able to afford just 13% of all flats sold in the area, whereas in 2000, with an equivalent budget of the same value, they would have had their pick of 85% of all the flats sold in the area. Since 2000 the average property price in Hackney has increased by 226% and by 61% in the last five years alone. The average age of first time buyers has risen from 30 to 32 years old. 48,800 first time buyer loans issued in 2014 (highest since 2003). Despite consistently seeing the most amount of transactions, Wandsworth, in south west London, is increasingly an area hard to enter for first time buyers. In 2000, with an equivalent budget of £250,000 (£181,800) one could afford 64% of the flats sold in the area but in 2015 that figure has nosedived to a measly 6%. The average price of a property in Wandsworth has increased by 195% in the last 15 years. 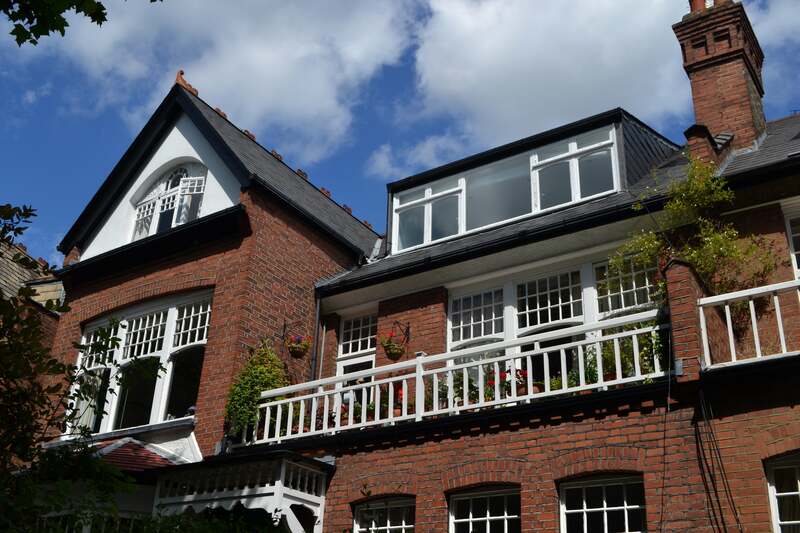 The average price of a property in Hammersmith and Fulham has grown by 216% since the year 2000. If you had a budget of £181,800 (the equivalent of £250,000 in today’s terms) in 2000 you could afford 44% of flats sold in the area. With same budget in 2015 you can only afford 4% of the flats sold. The average price of a property in the borough of Westminster has increased by 298% since the year 2000. With a budget of £250,000 in 2015, one could afford just 2% of all the flats sold. Barking and Dagenham has been consistently the most affordable London borough since 2000, while Kensington and Chelsea is the most expensive. For first time buyers with a budget of £250,000, only 29% of flats sold in London over the last year would have been affordable. A budget of £350,000 would be needed before more than 50% of all flats would become attainable. In the 20 outer boroughs of London, 80% of flats sold for below £284,500 suggesting that first time buyers are going to have to start looking further and further out of London to get their foot on the property ladder. We would like to thank the lovely people at SellMyHome.co.uk for this article.